When you come to visit London, you have a choice of places to stay. Many people will, of course, choose one of the hotels in the centre of the city, and it has to be said that they are very good, and some have a great reputation. However, as good as they are, they have certain disadvantages which quite a number of people would wish to avoid. The first is that hotel rooms are relatively small. They are, after all, running a business, and therefore the more rooms they can cram into a building the more they can let. So in a hotel, you effectively end up watching TV in the evening in the bedroom, getting drinks from the minibar. This may be acceptable if it is only for a day or two, but after that, living out of a suitcase can become quite stressful. Then there is the lack of privacy. Most of these hotels have a huge number of guests, and it is almost like living in a commune where everyone is herded together. Go to the bar for a drink or sit in the lounge to read your paper and it can be like sitting in the concourse on a major railway station. Then there is the question of how much a hotel room costs, and in Central London they are – quite naturally – very expensive. And just see what a couple of large vodka and tonics cost in a hotel bar! What’s the alternative? 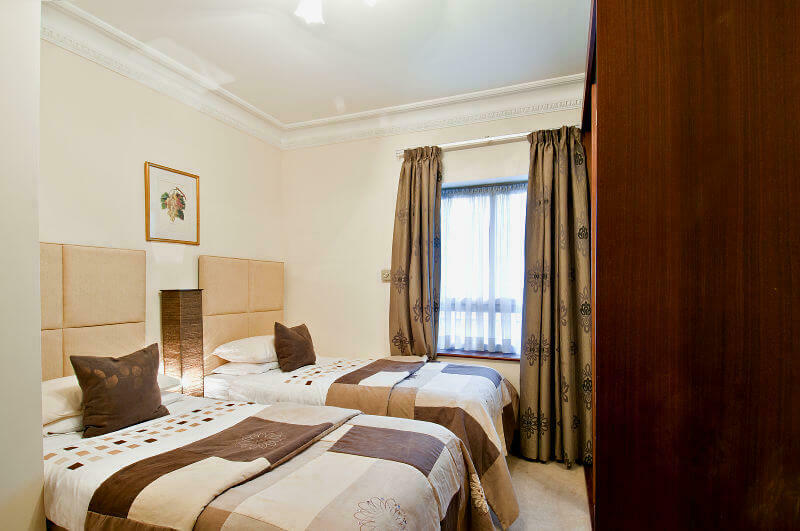 Serviced apartments in London, UK. You can rent a serviced apartment such as those available at Carlton Court in Mayfair for half the price of a hotel room, or even less. If you are a family of four, staying in a hotel will require two rooms at least. They don’t offer you a discount for renting two rooms. However, while you would need a two-bedroom serviced apartment, it doesn’t cost twice the price of a one-bedroom apartment and you would be amazed at just how much money you could save. Just check out a couple of room prices in West End hotels and then compare them with a two-bedroom apartment in Carlton Court.